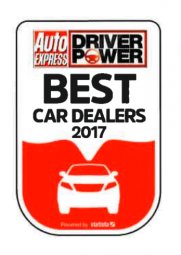 Imperial Cars are pleased to announce that we have been recognised as one of the “Best Car Dealers 2017” based in Southampton by Auto Express Driver Power & Statista. The 2017 Driver Power survey was used to collect car ownership data on a range of topics from car manufacturers to breakdown cover. Those who provided information about their car dealership experiences were asked to score on quality of advice and information, price, offers and overall satisfaction. At Imperial Cars, we pride ourselves on providing excellent customer service and are delighted to once again see this recognised! Why not come and see some of the feedback we’ve had from our many satisfied customers?